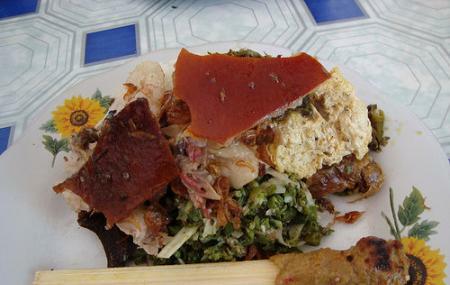 Located in the quiet area of Slingsing, Babi Guling Bu Suci is a budget-friendly local eatery, specialising in Babi Guling, or Suckling Pig. Rated high for taste, price, ambience and portion sizes, the Babi Guling experience is stellar at this no frills restaurant. While the distance may seem far from the main city, the ride to this place is worth it. The restaurant is open in the evening till the wee hours of the morning. Head to this place for a lovely dinner experience with friends and family, and enjoy one of the best Babi Guling in Bali!